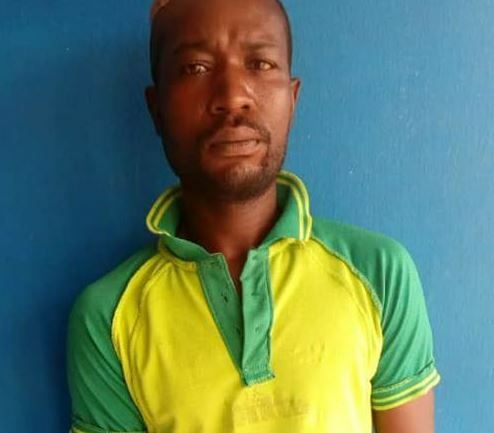 A teacher with a private school in Ogun State has been arrested by the police for taking advantage of his position to sexually abuse two underage girls, and had carnal knowledge of them sequentially. The randy suspect, Akinsoku Love Olomi, 33, it was gathered, lured his six-year-old neighbor’s daughter and friend, seven-year-old, into a private school near their House No. 10, Baba Esther area in Iyesi-Otta, without each of the victims realizing his intention. He was said to had first called one of the girls into the classroom, while sending the other to buy biscuit. Before the one running the errand could come back, he was done with his first victim, who he also cajoled to buy biscuit and did the same thing to the other. Confirming the incident to Crimepuzzle’s reporter, the State Police Public Relations Officer (PPRO), DSP Abimbola Oyeyemi said the two victims had been taken to the hospital for medical examination, adding that the Commissioner of Police, CP Ahmed Iliyasu, had ordered the immediate transfer of the suspect to the Anti Human Trafficking and Child Labor Unit of the State Criminal Investigation and Intelligence Department (SCIID) for proper Investigation and prosecution.